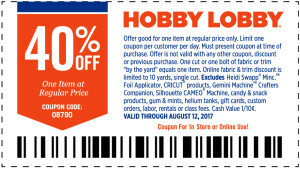 This post is sponsored by Hobby Lobby, all ideas are my own. 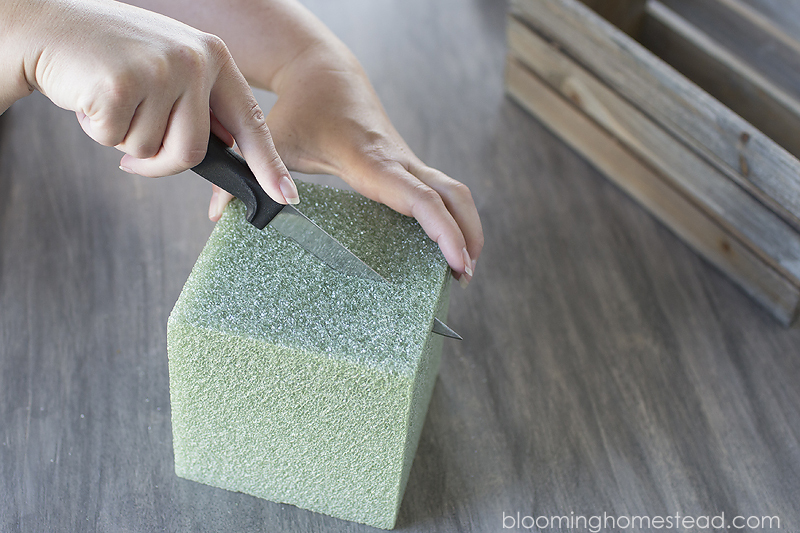 You’ll start by trimming down the floral foam by cutting it in half to fit in the bottom third of the wood caddy. 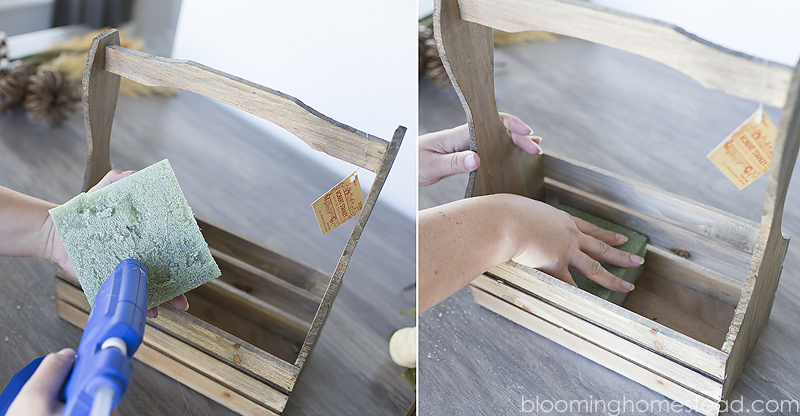 Use hot glue to secure the foam to the bottom of the caddy. 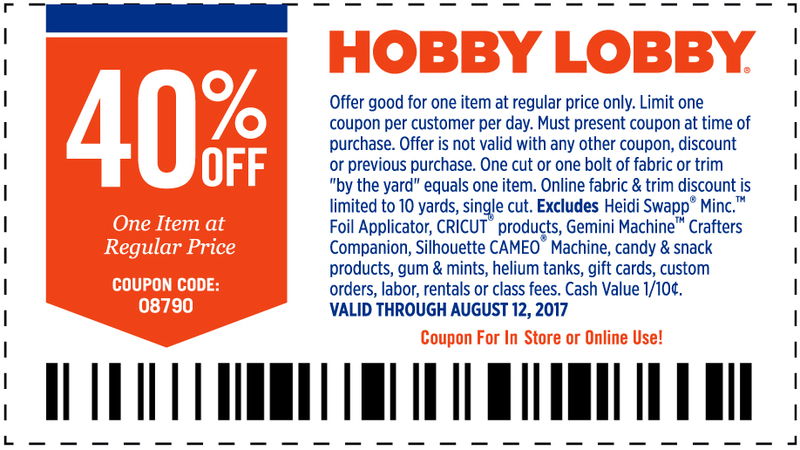 When you have your foam secure, you’ll start adding in the fall floral stems. Most of the stems I selected were shorter so they didn’t require trimming but fit right into the caddy. 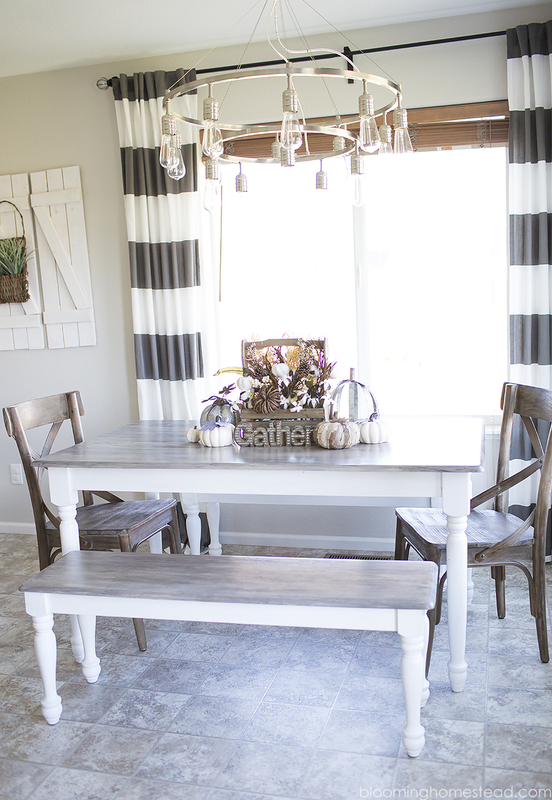 When arranging florals and centerpieces it helps to start with the larger stems or bulkier bunches. 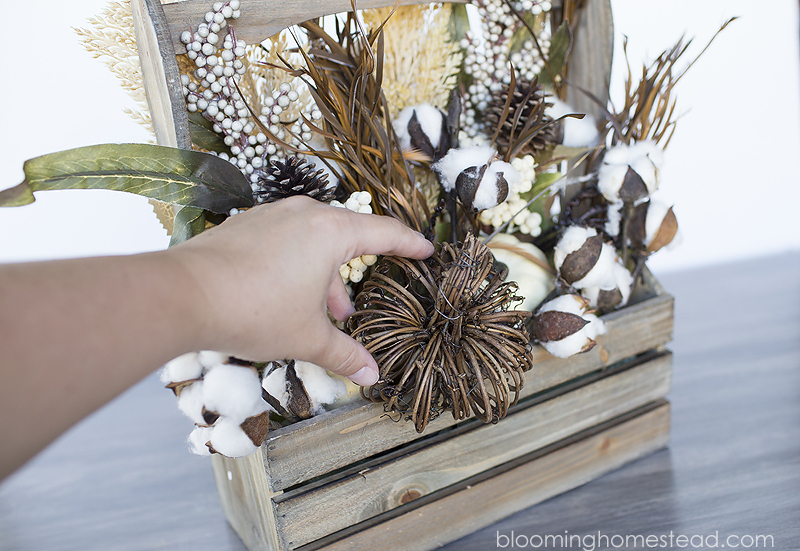 Next you’ll start adding in your fillers such as the faux wheat, grass, and cotton stems. 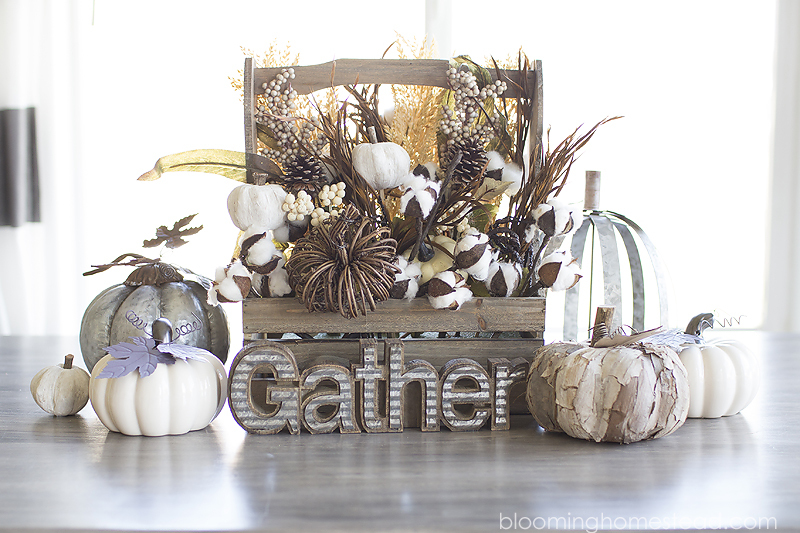 Finish off by adding in wicker pumpkin stems. 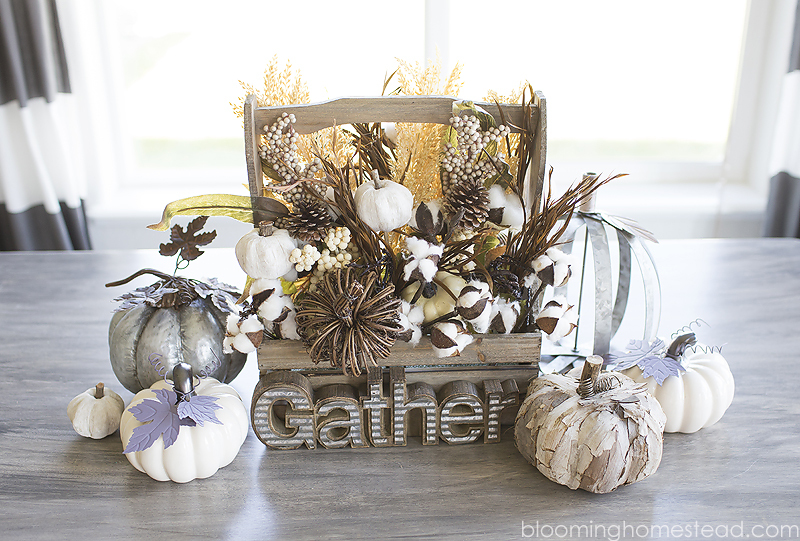 One of my favorite ways to finish off a centerpiece is by adding accessories surrounding the main arrangement. 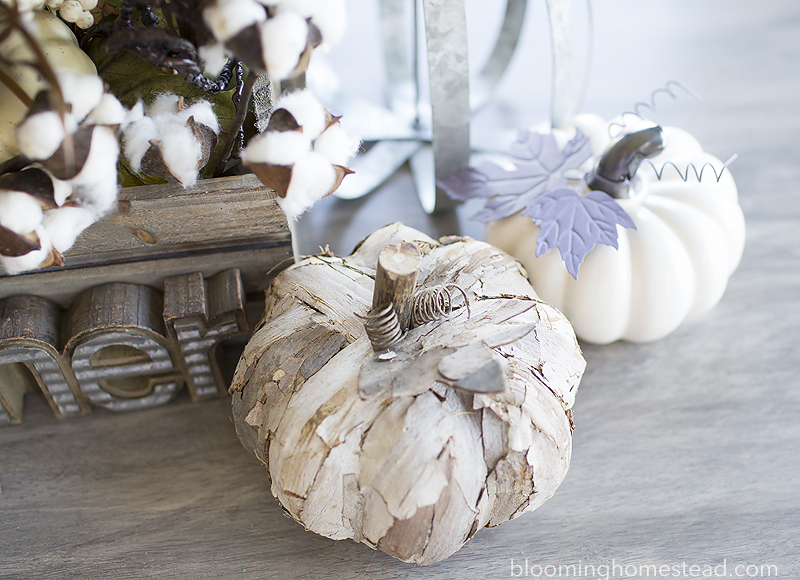 I love the all the different textures added with the galvanized, bark, and glass pumpkins. 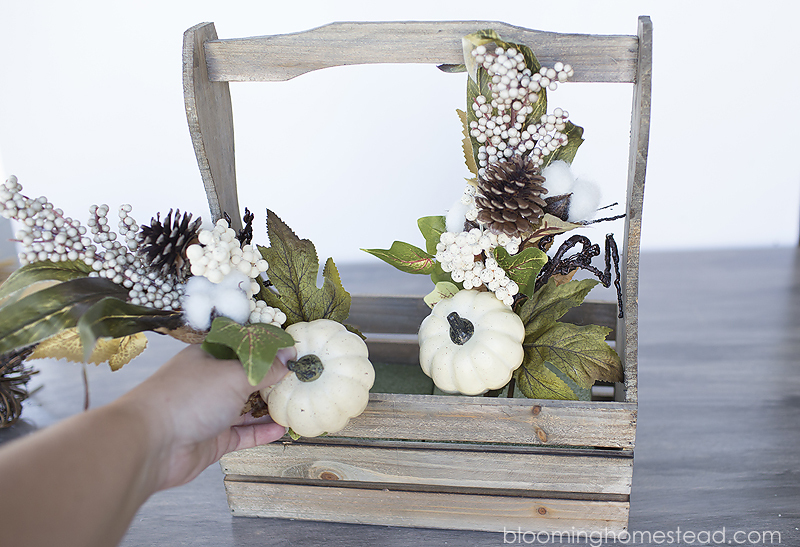 Such a fun way to incorporate fun design elements for a farmhouse style fall decor arrangement. 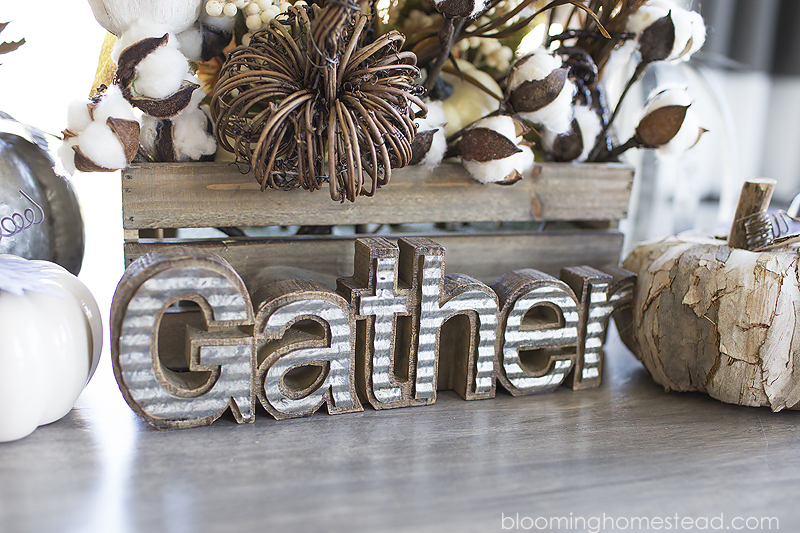 One of my most favorite elements to finish off the centerpiece was the addition of this galvanized style gather sign. 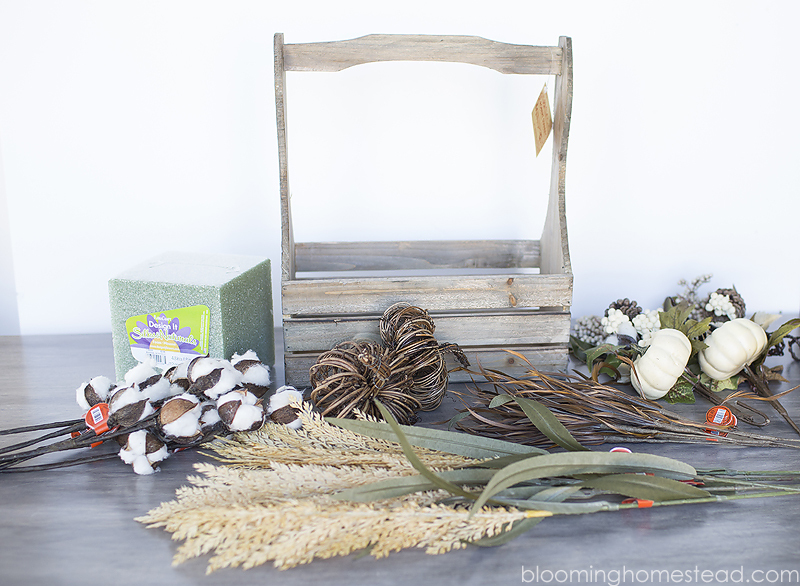 Putting together these elements will give you a beautiful fall centerpiece that would look lovely gracing any table.